Andreasen, N.H. (forthcoming) Chipped stones from the Late and Final Neolithic levels at Drakaina Cave, Kefalonia. A preliminary report. In G. Stratouli (ed.) Drakaina Cave on Kephalonia island, Western Greece. A place of social activity during the Neolithic. INSTAP Academic Press. Bekiaris, T. (forthcoming) Ground Stone Tools from Drakaina Cave. Grounds for Thought. In G. Stratouli (ed. ), Drakaina Cave on Kephalonia island, Western Greece. A place of social activity during the Neolithic. INSTAP Academic Press. Facorellis, G. (forthcoming) Sequential Radiocarbon Dating of the Neolithic Deposits of Drakaina Cave, Poros, Kephalonia. In G. Stratouli (ed. ), Drakaina Cave on Kephalonia Island, Western Greece: A Place of Social Activity during the Neolithic. INSTAP Academic Press. Kilikoglou, V. (forthcoming) Sourcing obsidian from Drakaina Cave, Kephalonia Island, western Greece. In G. Stratouli (ed. ), Drakaina Cave on Kephalonia Island, Western Greece: A Place of Social Activity during the Neolithic. INSTAP Academic Press. Kiriatzi, E. (forthcoming) Pottery traditions and people in the Neolithic 'Drakaina Cave', Kephalonia, western Greece. An integrated petrological and technological study. In G. Stratouli (ed. ), Drakaina Cave on Kephalonia Island, Western Greece: A Place of Social Activity during the Neolithic. INSTAP Academic Press. Kotjabopoulou, E. (forthcoming). Dinner at the Cave. Aspects of the Late Neolithic faunal assemblage of Drakaina Cave, Kephalonia, Ionian Islands. In G. Stratouli (ed.) Drakaina Cave on Kephalonia island, Western Greece. A place of social activity during the Neolithic. INSTAP Academic Press. Μέλφος, Β. & Γ. Στρατούλη 2008. Ορυκτολογικός προσδιορισμός νεολιθικών χρωστικών: Η περίπτωση του Σπηλαίου Δράκαινα στoν Πόρο της Κεφαλονιάς, paper presented by the 5ο Συμπόσιο Ελληνικής Αρχαιομετρικής Εταιρείας, Αθήνα, 8-10 Οκτωβρίου 2008. Melfos, V. (forthcoming a) Characterization of lithic artefacts from the Neolithic deposits of Drakaina Cave, Kephalonia, Ionian Islands: A petrographic-geochemical approach for determination of raw materials and sources. In G. Stratouli (ed.) Drakaina Cave on Kephalonia island, Western Greece. A place of social activity during the Neolithic. INSTAP Academic Press. Melfos, V. (forthcoming b) Mineralogical composition of pigments from the Neolithic deposits of Drakaina Cave, Kephalonia, Ionian Islands. In G. Stratouli (ed.) Drakaina Cave on Kephalonia Island, Western Greece: A place of social activity during the Neolithic. INSTAP Academic Press. Metaxas, O. (forthcoming) Projectile points from the Late and Final Neolithic levels of Drakaina Cave, Kephalonia. A preliminary report. In G. Stratouli (ed.) Drakaina Cave on Kephalonia island, Western Greece. A place of social activity during the Neolithic. INSTAP Academic Press. Roumpou, M., Heron, C. P. & G. Stratouli, 2008. Detection and identification of organic residues in ceramic vessels dated to the Neolithic from Drakaina Cave (Kephalonia), Greece, paper presented by the 5th Symposium of the Hellenic Society of Archaeometry, Athens-Greece, October, 8th - 10th, 2008. Roumpou, M., Heron C. and G. Stratouli, (forthcoming) Detection and identification of molecular signatures in ceramic vessels from Drakaina Cave in Kephalonia, Ionian Islands, Western Greece: application of analytical and spectrometric techniques to archaeological material. In G. Stratouli (ed. ), Drakaina Cave on Kephalonia Island, Western Greece: A Place of Social Activity during the Neolithic. INSTAP Academic Press. Sarpaki, A. (forthcoming). Drakaina Cave at Poros in Kephalonia: A preliminary report on the progress of the archaeobotanical research. In G. Stratouli (ed.) Drakaina Cave on Kephalonia island, Western Greece. A place of social activity during the Neolithic. INSTAP Academic Press. Stratouli, G. 2002, Soils and Stones in building the Social Environment: the case of Drakaina Cave in Poros, Kephalonia, W. Greece, unpublished paper presented by the 8th EAA Annual Meeting (Session I.7. ), Thessaloniki, Hellas, 24-29 September 2002. Στρατούλη, Γ. 2006b. Η «Σπηλιά της Δράκαινας» στον Πόρο της Κεφαλονιάς: Η Προϊστορική Επίχωση. Πρώτες εκτιμήσεις από τις ανασκαφικές περιόδους 1992-1995. Στο Πρακτικά της Α΄ Αρχαιολογικής Συνόδου Νότιας και Δυτικής Ελλάδος, Πάτρα, 9-12 Ιουνίου 1996: 647-656. Αθήνα: Τ.Α.Π.Α. Στρατούλη, Γ. 2007a. Το Σπήλαιο Δράκαινα Πόρου Kεφαλονιάς κατά τη Νεολιθική Εποχή: ανάκτηση και αξιοποίηση ενός πολύτιμου αρχείου για την κοινωνία της 6ης και της 5ης χιλιετίας π.Χ., στο Πρακτικά του Συνεδρίου του Δήμου Ελειού-Πρόννων για τα Γράμματα, την Ιστορία και τη Λαογραφία της περιοχής Πρόννων, Πόρος, 8-11 Σεπτεμβρίου 2005, 127-158. Θεσσαλονίκη: University Studio Press. Stratouli, G. 2008. Reconstructing Social Activity in Drakaina Cave, Kefalonia: Ways of looking at the archaeological record and the space during the Neolithic, paper presented by the Cave Colloquium, Irish Institute of Hellenic Studies – Ephoreia of Palaeoanthropology-Speleology of Southern Greece, Athens, May 24th, 2008. Stratouli, G., and A. Goudi (forthcoming). Neolithic Painted Pottery from Drakaina Cave, Kephalonia, Ionian Islands. In G. Stratouli (ed.) Drakaina Cave on Kephalonia island, Western Greece. A place of social activity during the Neolithic. INSTAP Academic Press. Theodoropoulou, T. (forthcoming). Sea faunal remains from the neolithic layers of Drakaina Cave. A preliminary report. In G. Stratouli (ed.) Drakaina Cave on Kephalonia island, Western Greece. A place of social activity during the Neolithic. INSTAP Academic Press. Χατζιώτου, Ε.-Μ. και Γ. Στρατούλη 2000: Το Σπήλαιο Δράκαινα στον Πόρο Κεφαλονιάς. Στοιχεία για την προϊστορική χρήση του και για τη λαϊκή λατρεία στους ιστορικούς χρόνους. Στο Πρακτικά του ΣΤ΄ Διεθνούς Πανιονίου Συνεδρίου (Τόμος Πρώτος), Ζάκυνθος, 23-27 Σεπτεμβρίου 1997: 61-76. 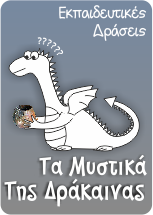 Θεσσαλονίκη: University Studio Press. Χατζιώτου, Ε.-Μ., Στρατούλη, Γ. και Ε. Κοτζαμποπούλου 1995. Η «Σπηλιά της Δράκαινας». Πρόσφατη έρευνα στον Πόρο Κεφαλονιάς (1992-1993), Αρχαιολογικά Ανάλεκτα εξ Αθηνών ΧΧΙΙ, 1989 (1995): 31-60.